Hello. I've updated my CS:S pack again. A comment from a solid user of this pack, nice work. Looks very nice, like it. @ DooM_5S: Extract the player folder from the zip archive to gfx path directory. It will prompt you to overwrite the files inside the existing player folder, accept it, and here you go. How to change the model of the characters? I did not succeed, help! Make CS:S weapons and HUD! 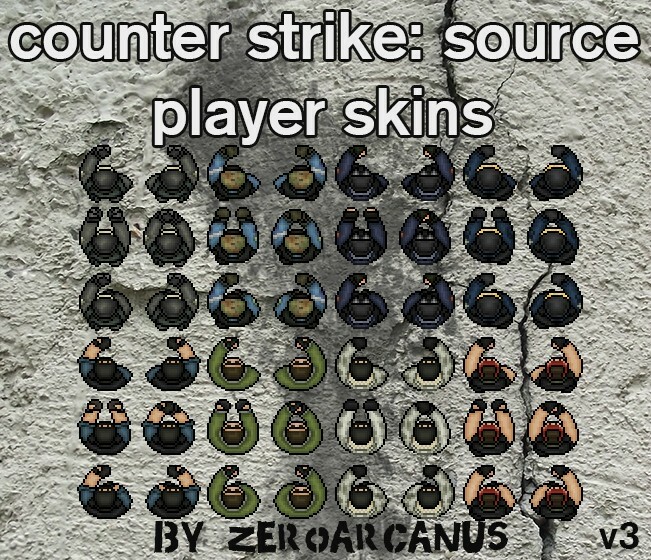 Always Like CS source scripts , skins or tools like ! Better play CS:S than use this skin on cs2d. On-Topic=Why you not remove the outline?Anyways,like it. And i like the L33t! cool, and this max cool skins i like !